in Influencer Marketing, Social Media with tags Brand Ambassadors, HBO, Oxygen, Power Advocates, Sisterhood of Hip Hop, Superfans, The Leftovers Both comments and trackbacks are closed. There’s a new type of celebrity on the block and they may not be who you think. Taylor Swift is gonna have to “shake it off,” because as technology continues to change the way we communicate – making consumer voices louder and more authoritative than ever before – a new type of influencer has emerged, and they present a powerful opportunity to brands for organically amplifying brand content and reach. Meet the Power Advocates: Passionate, everyday consumers who are leading conversations around different products or topics they support with authentic interest and engaged communities. These are the folks that back brands as unprompted advocates and with true interest and loyalty. While they may not actively engage with brands on social, through online social listening, marketers can gain insight into what they are sharing and saying, and recognize them as fans to engage. One step ahead of the Power Advocate is the Superfan. These individuals present the same opportunities to brands, but are also already engaging with them on social. They are loyalists of brands and not afraid to share it with the world. This gives brands the opportunity to reward these fans and amplify their voices even further. Both Superfans and Power Advocates serve as influential brand advocates that can spread and amplify a brand’s message in an organic way. When brands unexpectedly engage these fans, they are more inclined to support and share the love. Providing fans with exclusive and personalized access – such as a customized gift or invitation to a product or event launch – shows followers that the brand cares about their biggest fans, wants to immerse them in all aspects of their culture, and wants to participate in a two-way dialogue. 360i’s Influencer Marketing team engaged Superfans and Power Advocates alike this past year in several successful brand campaigns. Fan response and results were significantly bolstered by the authority of the influential consumer and the powerful impact that using social listening and engaging in personal one-on-one interactions can result in. Early adopter 360i clients HBO and Oxygen both engaged Superfans in the marketing of their new shows to help organically spread promotional content. For HBO’s hit show The Leftovers, we engaged Power Advocates by immersing them in the show’s mysteries before they unfolded onscreen with highly personalized in-story digital teasers, three physical plot-driven totems and a burner phone programmed to receive cryptic weekly teaser texts. These interactions were authentic and exclusive without being overbearing, and led to a highly engaged, vocal fan base and strong community. For the promotion of Oxygen’s freshman series, Sisterhood of Hip Hop, the network partnered with influential content creators to generate episode-specific content that was first shared with Superfans to build a groundswell of excitement around the new series. Superfans loved the exclusive first look, and many Superfans went on to share additional content about the show, including episode recaps and real-time tweets. The influencer generated content shared by these Superfans resonated so deeply with the brand’s larger target audience that even the show’s talent organically engaged and shared the Superfan content with their personal social channels. Listen. Listen. Listen. There is no quick and easy way to identify Superfans of a brand. Through social listening of mentions and interactions, brands can gain valuable insight into what like-minded fans of brands are talking about and sharing most. If a fan has a strong following across multiple social platforms and consistently talks positively about a brand, they have the potential to be a strong partner and brand advocate. Engage, respectfully. 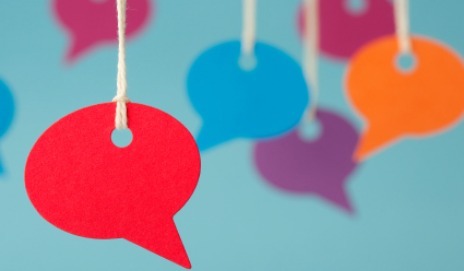 Marketers should consider joining in on the conversation their fans are having. Chime in publicly, or reach out privately, but always be transparent about intentions. And be personal. In many cases, mass outreach will be less well received, and at times even considered inappropriate. Providing an elite value exchange – such as some sort of exclusive access or monetary exchange – can help generate brand love. But don’t forget about the FTC, and be sure to disclose any promotional sweeps efforts. And repeat. Partnering with Superfans on an ongoing basis can be an effective way to partake in and even steer conversations among fans. Marketers should remember though that the Superfans are the ones driving the dialogue and will react best to content that already fits within their existing conversations. Social listening is arguably one of the most important components of an influencer campaign, and a strong tool for marketers looking to engage Power Advocates and Superfans. These types of influencers can be incredibly beneficial and helpful in amplifying any digital influencer initiative, and in building and retaining a passionate, influential and loyal fan base.